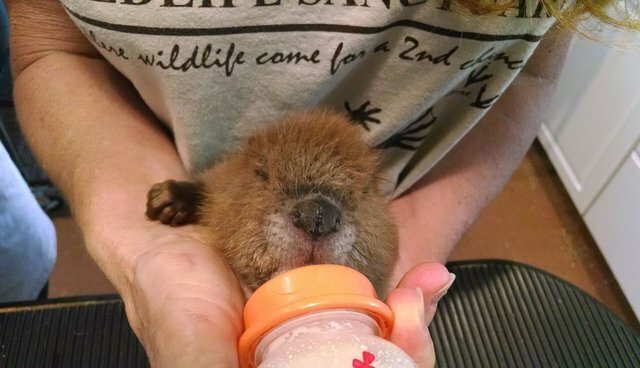 The two little puffy-cheeked baby beavers wound up in the care of Alabama's Big Bend Wildlife Sanctuary back in March, after some cruel human killed their mother "because she built a beaver dam that someone did not want," the sanctuary explained on Facebook. 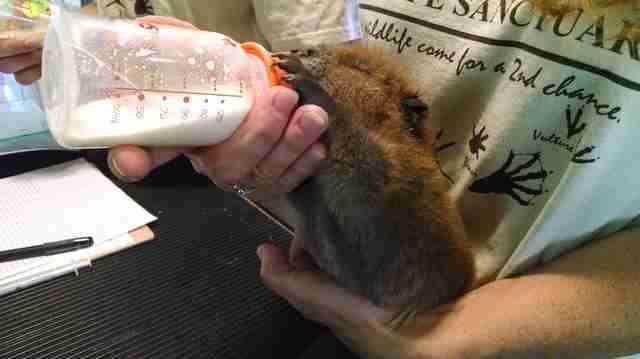 The baby beavers are lucky to be at Big Bend, because beavers in the wild spend their first two years of life with mom. 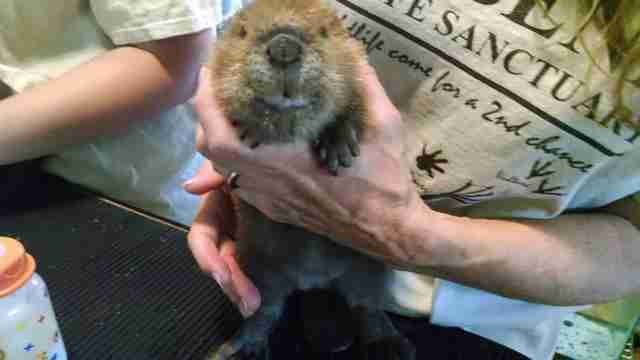 That means that for the next two years, the staff at the sanctuary will be snuggling little beaver faces. One of the most important roles the sanctuary has to fill for the new little beavers is to teach them how to live in the wild - which means they have to practice swimming every day. The sanctuary is currently fundraising to build a pond on their property, which would give these little beavers (and all of their other rescued animals) a chance to splash and live like they would in the wild. Even though these little guys lost their mom because of the actions of one cruel human, their dedicated rescuers are showing them that the world isn't all bad. Way to go little critters! Here's hoping you have long and happy lives. 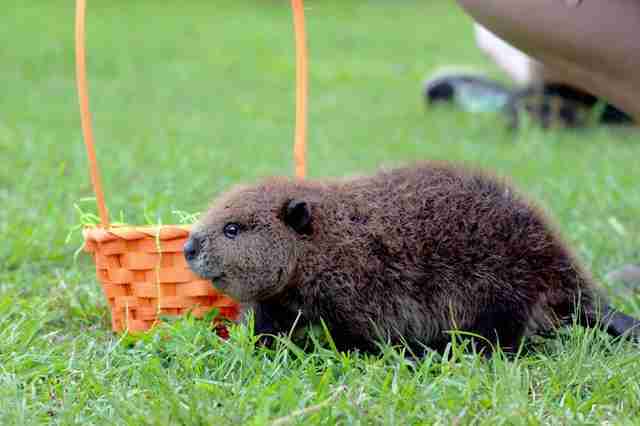 Click here to donate to the baby beavers' new pond.